As manufactured housing continues to become the “go to” housing choice for thousands seeking high-quality affordable home ownership, so has the proliferation of manufactured home and modular home websites allowing shoppers to search for that perfect home from the comfort of their own home. Understanding that simple fact, it’s important to note, not all websites are created equal. Many websites have been created to singularly promote a particular brand of home. Only a handful of interactive sites provide the shopper easy access to shop various manufactured home and modular home products – allowing for the comparisons of pricing and construction specifications. 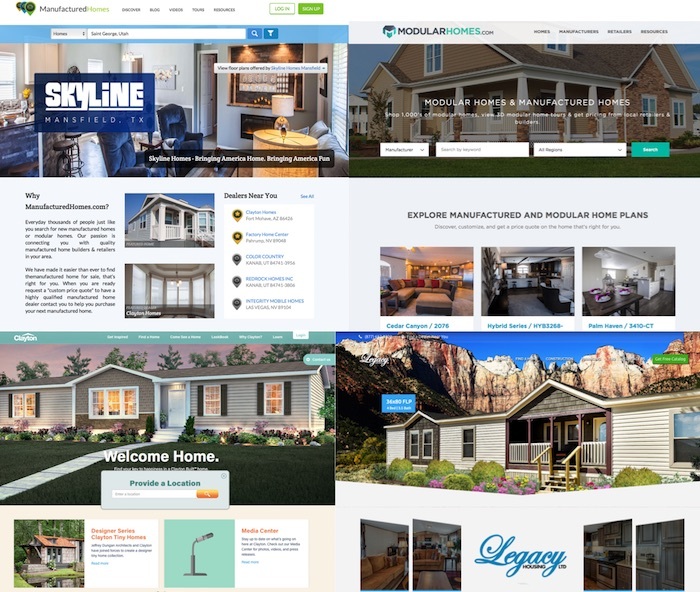 The following is a list of the top ten websites that are considered easiest for users to navigate–which most agree is the #1 priority when on-line shopping for today’s new modern manufactured housing. These listings are about the website only, and not indicative of the quality of their homes. ManufacturedHomes.com – Accurate data base for multiple competing manufacturers and retailers, largest selection of 3D virtual tours, thousands of floor plans, images,construction specifications, custom price quotes, user geo-targeting and ease of use. Resources section contains a virtual library of information and tips on purchasing. Most importantly, the website is not cluttered with advertising solicitations. 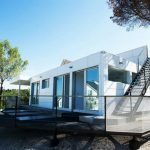 ModularHomes.com – A relatively new website featuring over 100 modular and manufactured home builders. Clean, clutter free site with lots of images, 3D tours, floor plans, information and critique of manufacturers and “what sets them apart.” Geo-targeted by the states which they serve. Direct contact information. The Resources section is a primer on manufactured homes and modular homes and their differences. OakCreekHomes.com – Best of the manufacturer only sites. Excellent digital content, filterable, good site design. 3D tours and a large display of interior images. Not so good – they don’t have multiple products and no geo targeting for inexperienced users. Price quotes by telephonic communications only. MHVillage.com – Have a large database, almost too much stuff. A little confusing sometimes to navigate. If you are shopping for a used mobile home or a mobile home park they are the “go to” place – not so much for a new home. 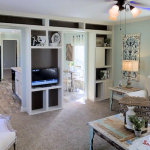 SunshineHomes-inc.com – Extensive content, 3D virtual tours, floor plans with descriptions of features and construction specifications, design center and interactive custom price quotations. Probably the easiest of all the manufacturer sites to navigate. ClaytonHomes.com – Good content and great concepts, but a little confusing because of the lack of geo-targeting, so you have to jump through hoops to get local results. A unified database of all their many factories is nice. They do a great job overall and really seem to have the user in mind. ChampionHomes.com – Nice website, recent re-design, good content. 3D tours are somewhat limited, but they are moving up the list fast. They always do a good job representing the industry. LegacyHousingltd.com – Not quite in the same class as the others, but they should be commended in terms of their presence, – their product presentation is another thing altogether. ManufacturedHomeLivingNews.com – This is an article driven website and is not necessarily aimed at shopping, but is a great source of educational material for someone just exploring the manufactured home and modular home industry. You can get connected with some great brains via their platform. The company has a deep history, so we expect good things in the future.